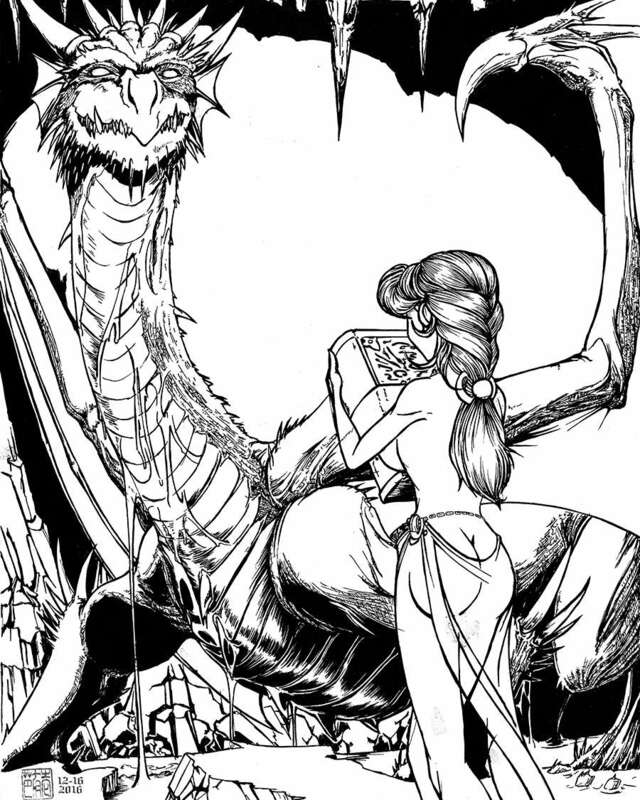 #Art #RPG – Dragons, Enchantresses, BOOKS! The ever-lovely, charming, wonderful, generous, shy and retiring art genius Ben Rodriguez has donated a piece of art to support the Darkzel Art Scholarship. Something all of you should do and can do HERE. We need donated art to keep the scholarship going. We need donations to this year’s fund. We need people to apply for the scholarship! Otherwise, you can buy a picture of a dragon, and some other stuff too, HERE!